County Clare has it all for that perfect get-away relaxing break or longer holiday. With excellent accommodation and dining you will be well fortified to enjoy the the activities and amenities of the region. Golf, pitch and putt, fishing, horse-riding, watersports, and hill-walking are all readily available for the active tourist. 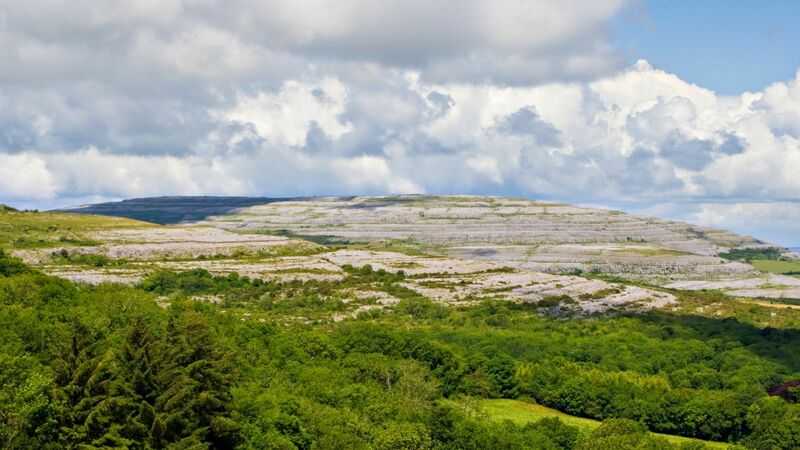 For the those with a more sedentary holiday in mind, there is strolling through the many parks and lakesides, sightseeing of Clare's renowned spectacles, and touring our unique countryside. Queens Nightclub www.queenshotelennis.com - The Stylish Queens Nightclub is an experience with a varied mix of entertainment from Top DJ’s working their magic in trendy, chic & contemporary surroundings. Clare Museum www.clarelibrary.ie - Visit the Clare Museum and enjoy the Social, Cultural & Economic life of County Clare. Clare Leisure World www.leisureworld.ie - Ten Pin Bowling, Quasar 2000, Astro-Turf Soccer Pitches, American Pool, Snooker and the very latest in Video Game Simulators. Empire Cinema www.empiremovieplex.net - The Empire is situated in the heart of Ennis, has seven screens, each fully air conditioned. Doolin2Aran Ferries www.doolin2aranferries.com Clare Day Tour: 8am – Collection from Hotel, Arrive at Doolin Pier & Depart to Aran Island – Inis Oirr. 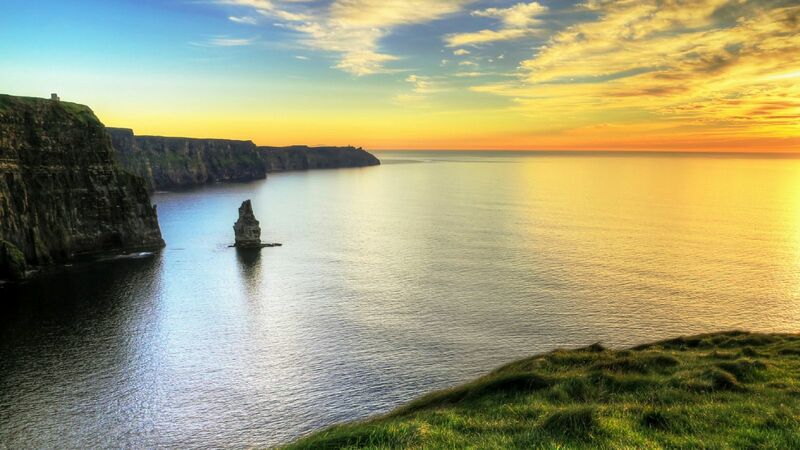 Depart Island and travel under the vast Cliffs of Moher, Enjoy Doolin Village at Leisure, Depart Doolin for the Cliffs of Moher Visitor Experience, 5pm – Depart and Return to Hotel. Dolphinwatch www.dolphinwatch.ie - Carrigaholt, Co Clare - Each two-hour dolphin watching boat trip is an opportunity to get close to Bottlenose Dolphins as they interact with each other in their marine environment. Vandeleur Walled Garden & Centre www.vandeurwalledgarden.ie - Once the forgotten garden of Kilrush House, home to the Vandeleur landlords, this garden has been redesigned for the 21st Century around the old path system. Cliffs of Moher www.cliffsofmoher.ie - The Cliffs of Moher stretch for 8km & rise up to 214 metres above the Atlantic Ocean. The Burren Centre www.theburrencentre.ie - An introduction to the visual delights and ancient mysteries of Clare. Moher Hill Open Farm www.moherfarm.com - Come and see the Vietnamese Pot Belly Pig, Pony Donkey, Llama, Deer, Goats, Sheep, many rare birds and domestic fowl or trigger memories of nostalgic times from long ago with our old farm machinery. Doolin2Aran Ferries www.mohercruises.com - Sailing to the Aran Islands and the Cliffs of Moher from Doolin pier in Co. Clare. Aillwee Cave www.aillweecave.ie - A Guided tour of the Aillwee Caves. Knappogue Castle & Walled Garden - Medieval Banquets are held in the castle from April - October. Brian Boru Heritage Centre Killaloe - A scenic navigation location waiting to be discovered where the Shannon River flows out of Lough Derg. Bunratty Winery www.bunrattymead.net - Bunratty Mead or Meade is an extraordinary, legendary, mystical drink with strong attachments to Ireland. Lahinch Surf School www.lahinchsurfschool.com - Based at the beach hut on Lahinch promenade on the west coast of Ireland and provides a safe, relaxed and affordable introduction to the exhilarating sport of surfing. Green Room Wind Surfing www.greenroomlahinch.com - Irish Surfing Association Approved / Beach Lifeguard Instructors. Lahinch Seaworld www.lahinchseaworld.com - Lahinch Seaworld - Aquarium, Leisure Centre, Pool and Gym.